Bollywood's A-list actors have an incredible level of access to style. And when it comes down to nailing a look, whether it is a fancy one for a red carpet event or a pretty dress fit to slay while out and about the town, their trusted stylists make sure they are seen in best garbs. But if we talk about their promotional duties, these celebrities and their trusted style professionals, put all their might together to make them dress like their character does in the film. Not just that, while promoting the film, they also ensure that their entire look is colour coordinated and matching with their co-actors outfit. 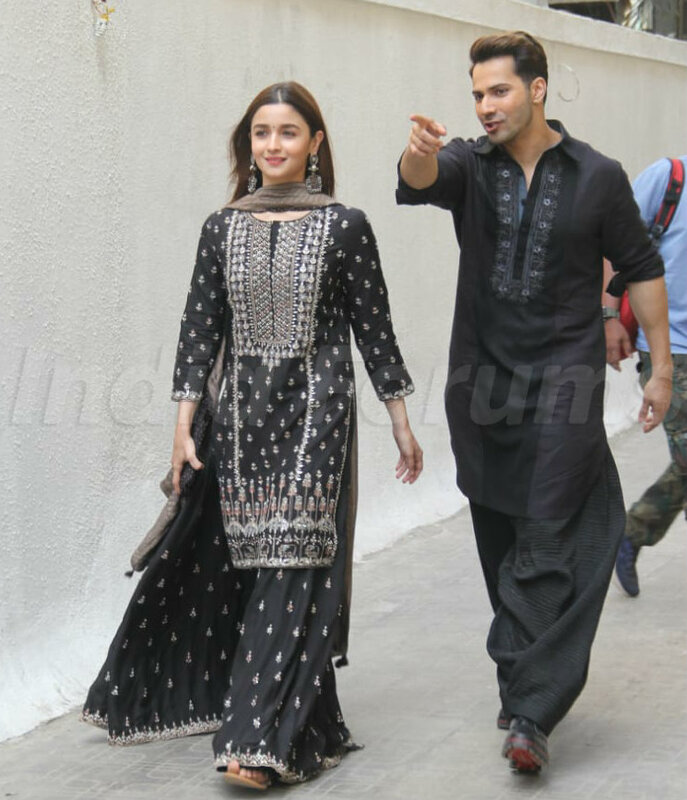 So, earlier today at the song launch of Kalank, the film's lead actors, Varun Dhawan and Alia Bhatt were seen slaying in traditional black outfits. 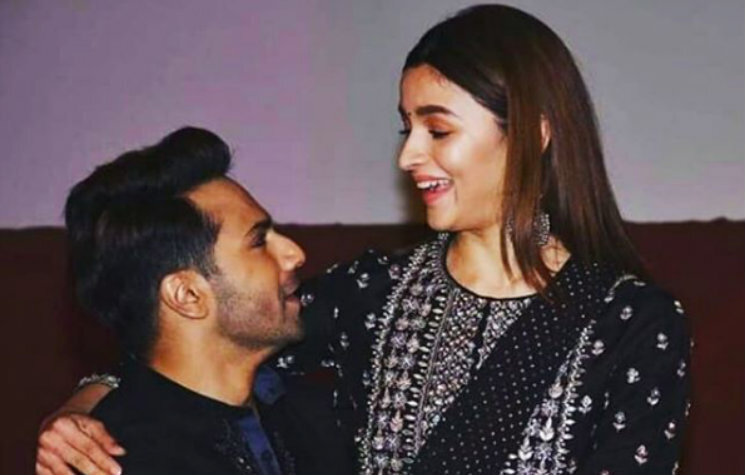 Varun looked absolutely suave in a black pathani, while Alia looked bewitching in a black suit by Anita Dongre. Alia accentuated with intricate silver embroidery. To keep her desi suit coordinated with her jewellery, Alia picked a pair of oxidised long earrings. She rounded off her beauty look, with centre parted straight hair and a small black bindi on her forehead. Black is the most preferred colour when it comes to western outfits, however, not just sartorialists but also simple girls don't opt for black in traditional Indian outfits. Blame the superstion!! But Alia and Varun looked every bit auspicious and style slayers as the went colour coordinated for this launch. 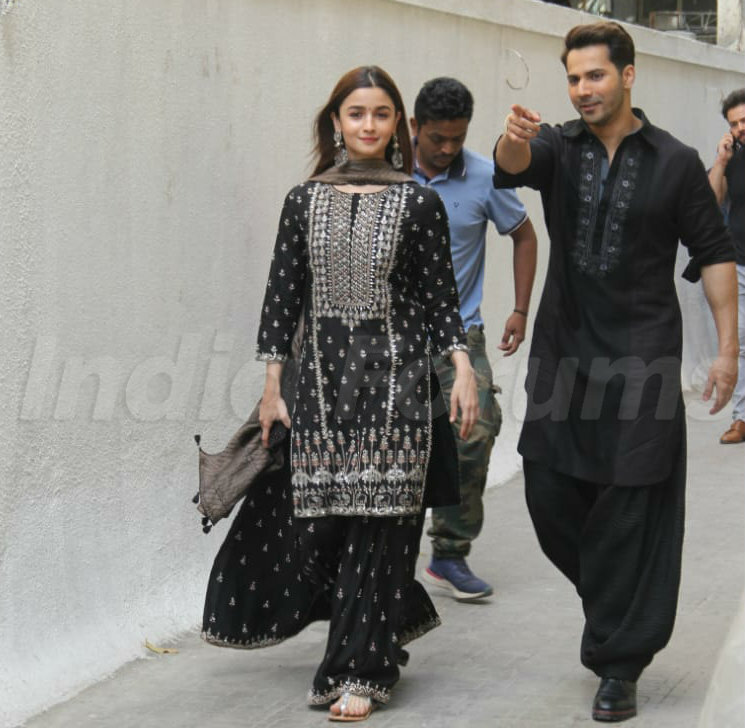 What do you think of Varun-Alia's all black traditional style twinning? Let us know in the comments below.